Every other Thursday, Stephanie Osei asks employees and employers at our favorite shops around the world what their most cherished in-store item is for our column Staff Affections. 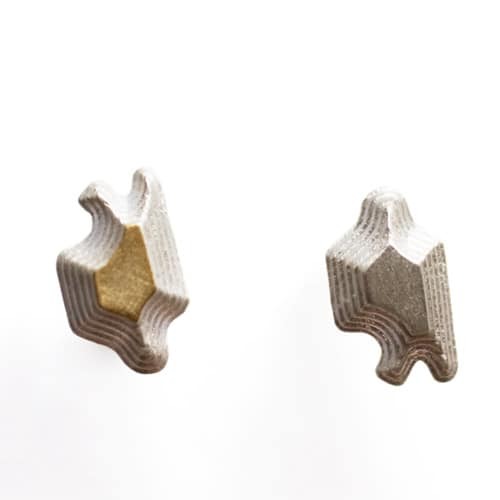 This week, she caught up with co-founder Claire Lemétais and staffer Stacy Hall of New York City's Spiritual America about the Mociun Topography Studs. Why did you select the Topography Studs by Mociun? HALL: Caitlin Mociun is a textile designer. She’s had a clothing line for six years, and she started doing fine jewelry about two years ago. I’m kind of a map nerd, and I was really impressed with her concepts, and she uses all reclaimed metal, and old diamonds and gems. 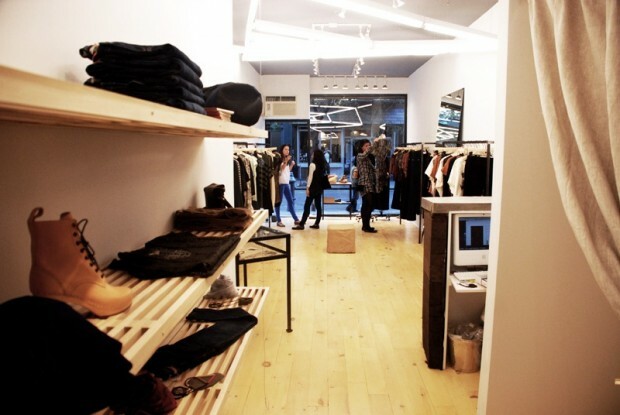 Everything is manufactured in New York with sustainable practices. The earrings have this asymmetrical subtlety with silver and a little bit of gold. What other Caitlin Mociun pieces do you carry in the boutique? HALL: We carry some of her jewelry pieces. She was doing these Victorian and Art Deco inspired diamond and turquoise pieces which we already sold out of. We are also carrying her final season of her clothing. She’s going to transition to doing just fine jewelry. What was it about the Topography Studs that fits well with Spiritual America? HALL: Spiritual America is trying to bring out emerging designers that have a background in art and are applying that technique to their design process. Mocuin's piece reminds me of travel, and the evolution of space and time. 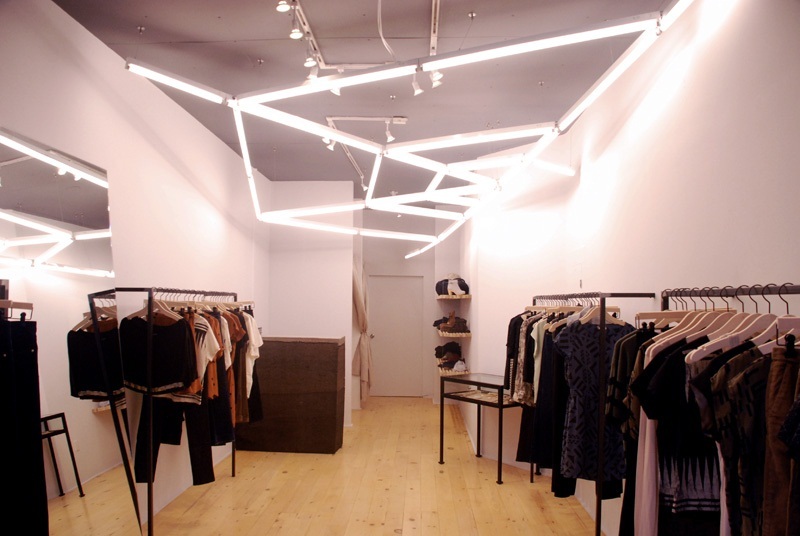 Tell us a little bit about how the space came about, and why you wanted to open a boutique? LEMÉTAIS: I had this art gallery for four or five years called Thierry Goldberg, and I’ve always been into fashion as well. I wanted to open in this space because it’s such a great block. What does the name Spiritual America mean? LEMÉTAIS: Naming the store Spiritual America refers to the history of the actual space. When we opened the gallery, we found out about the story of [artist] Richard Prince, and how he had this pop-up show called "Spiritual America" that he did in the ’80s inspired by Brooke Shields. We thought it would be a great name for the store, and it was a way to link it with the background of the gallery, and our background in the art world. We are using his nurses collection as a reference, which is why you see the books all over the store. We’re using the text he used in his work as our logo for the shopping bags. In his paintings, he spaced the text in a very specific way. The fonts he was using in the paintings and the spaces between the letters were very close to one another. Do you plan on showing art here in the near future? LEMÉTAIS: We might do shows or collaborations with artists. We are expanding the space in the back of the store in a month, so I’m waiting for the opportunity to do things like that.